Impamark – 2012 Roundup & Seasons Greetings!!! Well what a year 2102 has been with both The Olympics and the Queens Diamond Jubilee. 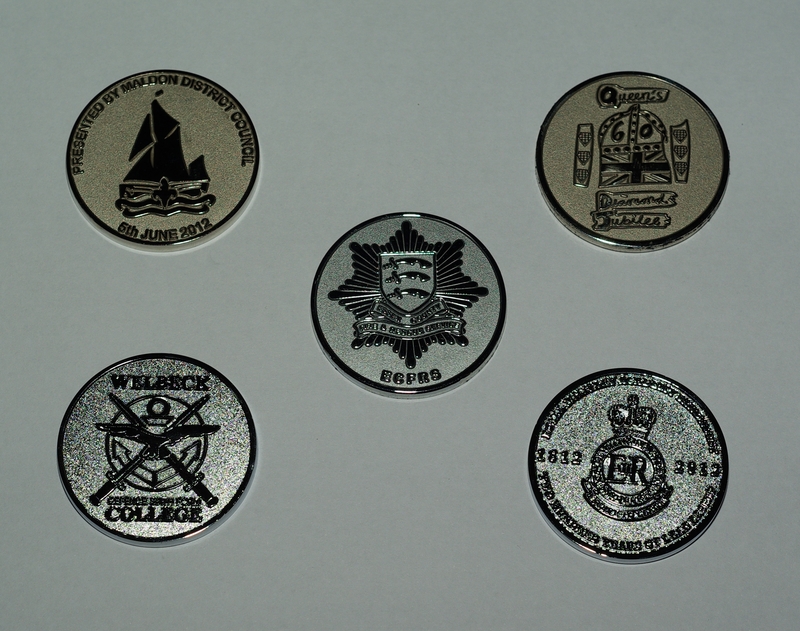 The latter brought us a great deal of business, particularly with producing commemorative coins, and during the year we have supplied 6000 to various organisations throughout the UK including Councils, Schools, and Associations. 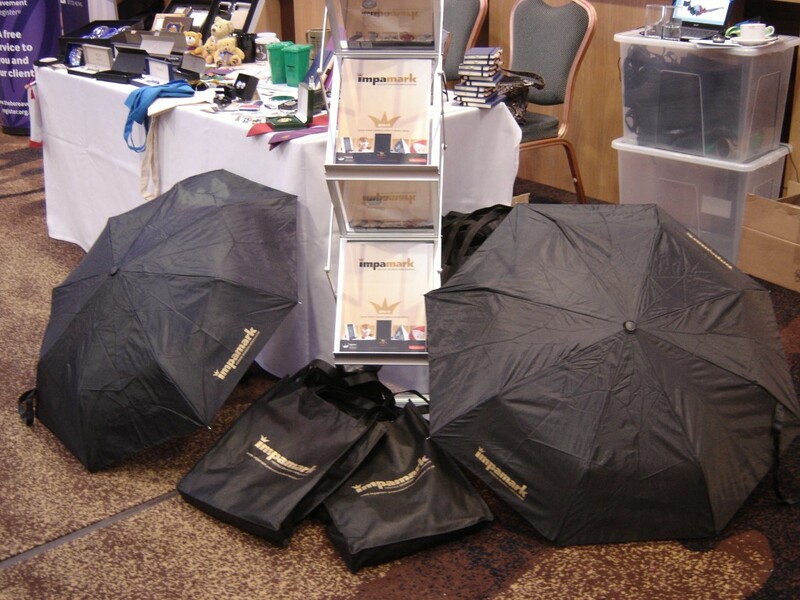 April saw our first ever Promotional Merchandise Showcase. Designed especially for anyone who purchases promotional products, visitors were able to meet with 25 specialist suppliers who had all the latest products on the market available to view. This was a great success, and we are going to repeat this event on Wednesday 24th April at the Marks Tey Hotel near Colchester next year. Set aside the date in your diary – it is totally FREE !! Also, in April saw the launch of our new brochure for 2012/13. 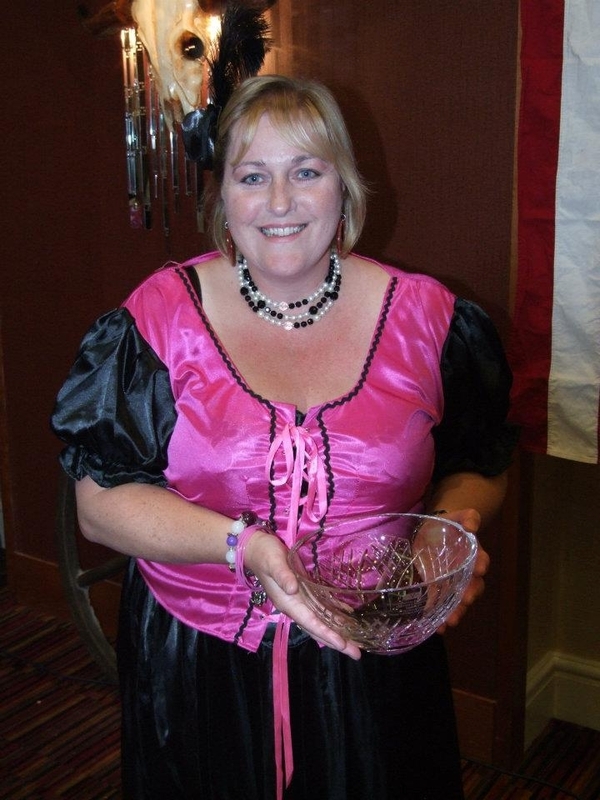 Nicky Crisp, our Managing Director, won the James Norman Award for Services to the Envoy Group. May saw us exhibit at the Local Registration Services Association Conference (LRSA) and AGM in Birmingham. Attended by representatives from Councils across the UK, it was a perfect opportunity for Impamark to demonstrate their strengths with this niche market. In August Impamark were proud to sponsor ‘Burnham Week‘, the premier east coast Sailing Regatta. We supplied glassware, T Shirts, badges and wristbands, which were much appreciated by the Regatta competitors. In September, Impamark were the official Personalised Merchandise Sponsors for the first ever Maldon Business Show at the newly refurbished Crown Plaza Resort Colchester, organised in conjunction with Maldon District Council and Essex Chambers of Commerce. It was a great day for the Maldon District and was very well attended by local businesses and organisations. In October, after many months of hard work, our Impamark website was updated which has resulted in more traffic. We hope that you find this of assistance. In November, Impamark sponsored the Association of Scouts & Guide Centres (ASGC) at Waddow Hall with bags, lanyards, advertising bugs, pens and keyrings which were very well received. 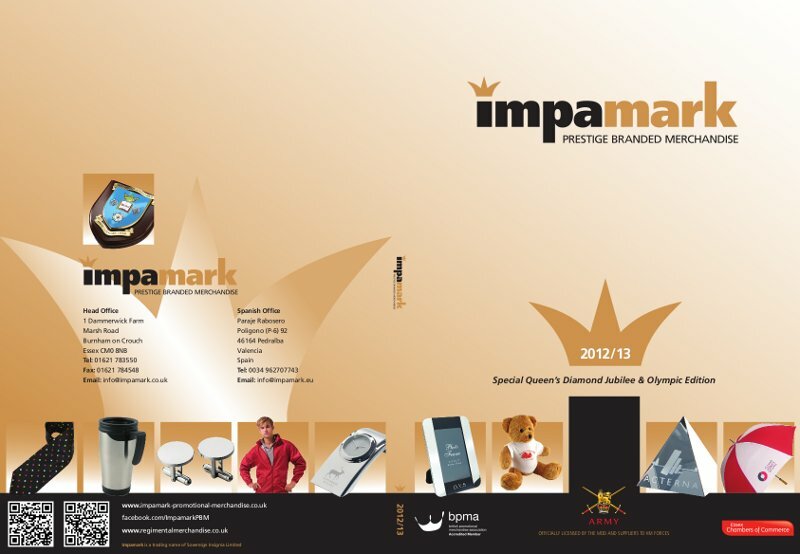 Finally, in December, Impamark have been short listed to the final 7 in the BPMA’s (British Promotional Merchandise Association) Catalogue Cover of the Year Award 2012. We would like to thank all of our customers for their continued support during 2012 which is greatly appreciated. We hope you all have a great Christmas and New Year and we look forward to continuing our relationship in the coming year. May we remind you that Impamark closes for the Festive break on Thursday 20th December and reopens on Wednesday 2nd January. This entry was posted in General and tagged BPMA, British promotional Merchandise Association, Commemorative Coins, commemorative souvenirs, Diamond Jubilee, Envoy 2012 catalogue, Essex Chambers of Commerce, Maldon Business Showcase 2012, Maldon District Council, Personalised Merchandise, personalised pens, personalised products on December 13, 2012 by nicky.